Cape May 2 welcomes Fr Tim McGuire, Kenny Jockel, and Eric Dolch as new AOH members. 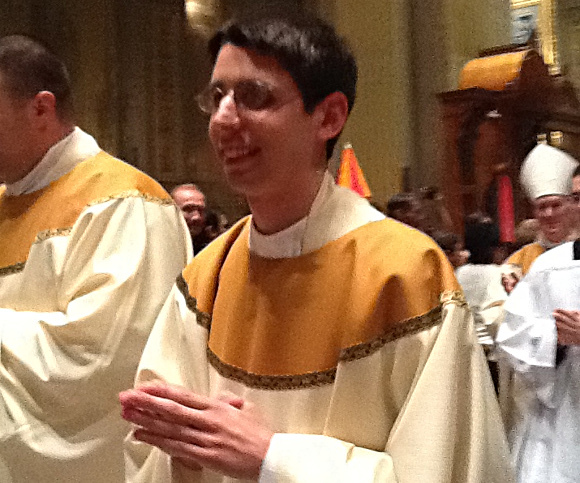 Timothy McGuire was Ordained to the Priesthood May 19, 2012 By Archbishop Charles J Chaput, O.F.M.Cap. at the Cathedral Basilica of Saint Peter and Paul Philadelphia, Pennsylvania. Tim is the nephew of Cape May 2 member John Hockenberry and could not wait until his studies ended so he could become a Division member. On June 4th 2012, newly ordained Father Tim was sworn into the Hibernians by Division president, Patrick Jockel. Tim’s cousin, Eric Dolch, and the son of the Division President, Kenny Jockel were also sworn in on the same night. 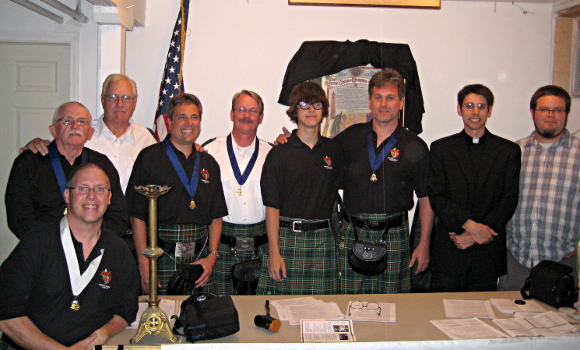 Cape May 2 division brothers showed up in kilts to help swear in their new Division brothers.